All-round legends High-tails have just signed with Stop Start Music, same label as Millions, Northeast Party House, Ballpark Music and one of my favorite bands of all time At The Dive-In! The boys have being busy working on their debut EP this year, titled "Sipping Tea To Make Music To Sip Tea To" (due out 3rd October). 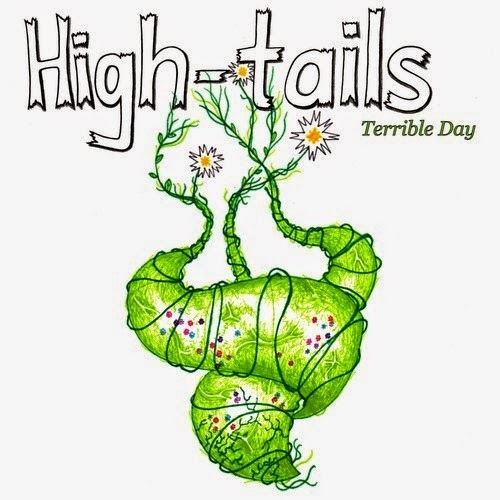 Their brand new single 'Terrible Day' has melancholy written all over it. As it sinks deep, it emits positive vibes at the same time. So, put on the kettle, rug up and enjoy the first taste from one of Sydney's finest.